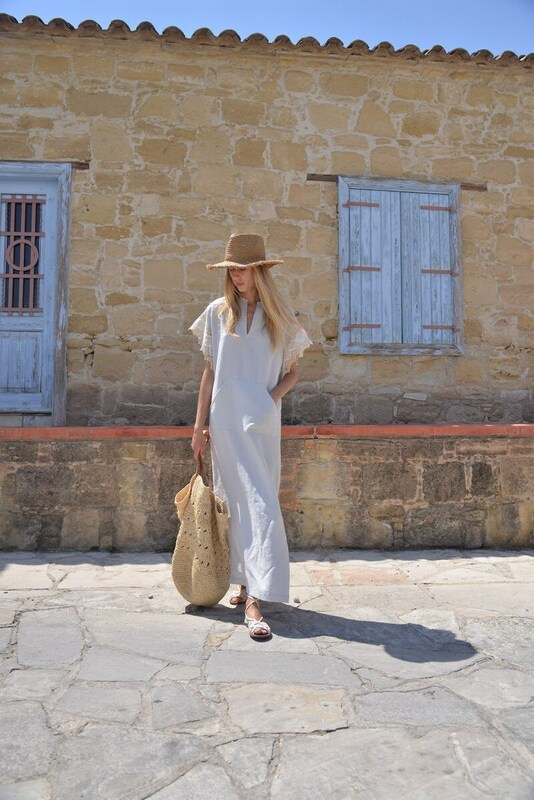 MARGOT long tunic. 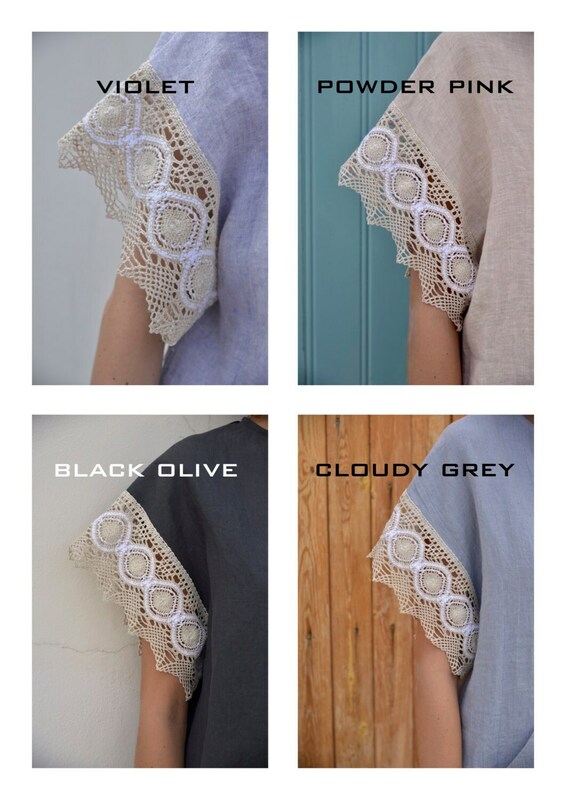 Women's pure linen long caftan with cotton lace sleeves. Eight different colours. 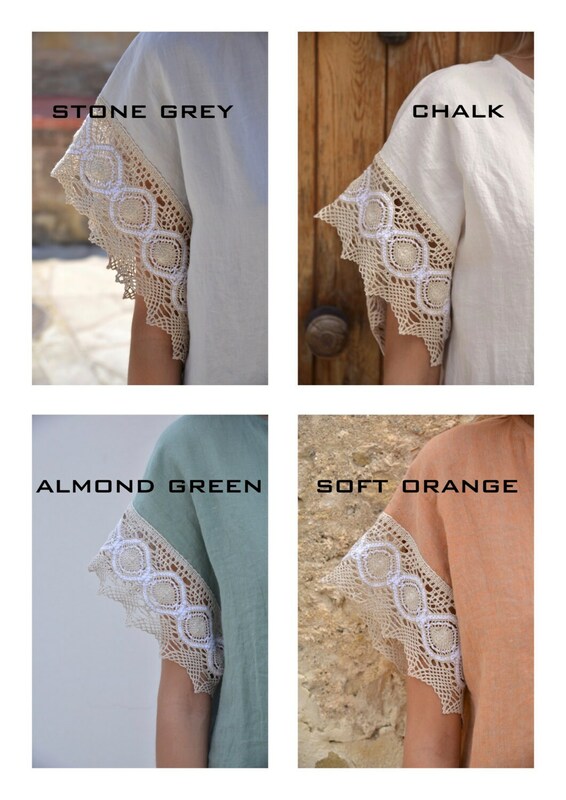 This unique women’s caftan is made of cool and light pure linen with beautiful cotton lace sleeves. This pure linen is pre washed, it has a relaxed texture and a beautiful drape. It is absorbent and breathable more so than cotton. Linen is known for it's durability and it is easily laundered. This tunic will soften with each wash and serve you comfort for years. You can wear it in the city, at the beach, or even from day till night on your holidays or your every day activities! It would also make a beautiful outfit for a party. The small luxurious details like the wooden logo tag hanging from the dress's label and the sophisticated packaging make it ideal for a gift for your beloved ones. The model appearing in the photo is 178cm (5’ 10”) tall and wears an S size dress. Because of the dress's loose style the sizes run slightly big. THANK YOU FOR SHOPPING FROM YUME world!!! Beautiful quality and a great fit - comfortable without looking like a tent! Many thanks.